Keeping up with regular filter changes is a must, however even those who perform this maintenance task regularly may end up with less than clear air or other issues. 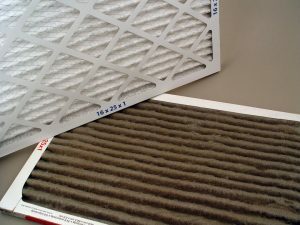 If you would like to learn more about the factors that can keep an air filter from performing correctly, keep reading. This article outlines three things that can undermine your HVAC system’s air filter. Furnace filters differ in terms of factors like the particular filtration material used and the size of particles they can effectively trap. Nonetheless, all air filters work in the same way. Air flows through the permeable filter, which snares unwanted debris. Yet if your air filter doesn’t fit snugly in its housing, then air may escape around the edges instead of passing through the filter. HVAC contractors refer to this all-too-common phenomenon as filter bypass. Filter bypass allows airborne dust and other debris to pass right around your filter and into your furnace. A number of underlying factors may lead to filter bypass. To start the filter may not fit correctly in the filter track or sleeve. This could be due to lack luster installation of the filter track itself, or it could be due to the use of the wrong filter. At Bryant we install a two inch filter track on our new furnace installations. This typically allows for a better quality filter to be used. That doesn’t mean that a homeowner couldn’t replace that two inch filter with a one inch filter for one reason or another. That decision could cause a problem. The furnace filter now has room to shift around and potential for air to slip by. Another sizing issue is that there are various width and height dimensions of filters. Some common sizes are 16×25 and 20×25, but no matter what the dimensions are it is important to find the right filter to fit your furnace’s filter track. Using the wrong size will allow air containing particulate to pass by unfiltered to your furnace. Some air filter tracks are not sealed tight to the furnace and can allow unfiltered air to leak into the system after the filter and straight into the furnace. Now this is probably less worrisome, but it is common practice these days that a airtight gasket be installed to prevent this air leak. Most air filters list their filtering efficiency by using a standard rating known as the Minimum Efficiency Reporting Value (MERV) scale. Essentially, the higher the MERV rating, the smaller the particles that a filter can capture. This logic leads many people to assume that they should invest in air filters with the highest possible MERV ratings. Unfortunately, this strategy often backfires by throwing off the air pressure in your home. 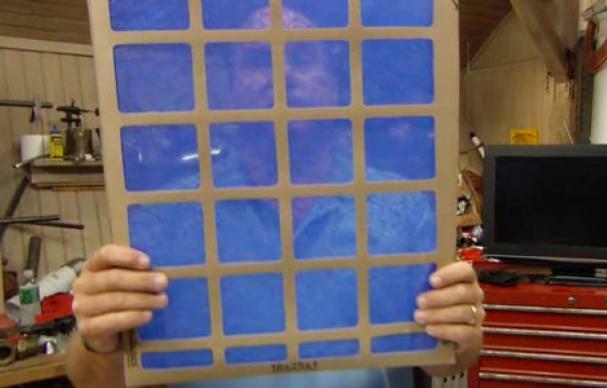 A higher MERV rating means that the air filter creates more resistance. If your blower system doesn’t have the power to compensate for this, your air flow will be reduced. In other words, not as much air will move through the filter and your HVAC system. 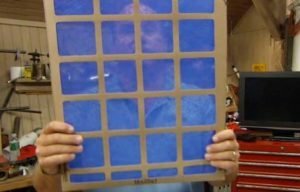 By installing a higher MERV filter the quality of air for you may be better but the change could be having a negative effect on your HVAC system. The added stress on the furnace blower to move the air over time may cause failure and expensive furnace repairs much like a long past due dirty furnace filter could. Having too high of a MERV rating can cause adverse effects as we’ve discussed, but skimping on the your filter quality can have do damage as well. There are filters out there that are great for a couple reasons, they are cheap on wallet and they allow plenty of air flow. They are horrible though because they are cheap and they allow plenty of airflow. You may be saying, what? There are actually filters that have such a low MERV value that you can see through them. don’t believe us? Take a look at the picture here. What can be filtered by this? Not much and not enough. Just like filter bypass the particulates that pass through a substandard filter will likely accumulate on various components of your HVAC system. These components like the heat exchanger and indoor air conditioning coil are extremely important to your comfort and absolutely need the air to flow through them without obstruction. If dust and dirt continue to accumulate on them you’ve got problems. So what we’re trying to say is, like many things there is a happy medium when it comes to furnace filters. Not sure what is right for your system? We typically suggest something around a MERV rating of 7-8 for one or two inch furnace filters. If you or someone in your home have severe allergies and you’d like to improve your filter system contact Bryant Air Conditioning, Heating, Electric & Plumbing for more information.